April 24, 2012 | Posted by Lee C.
It’s time to add some color to your bedroom. Pantone has released their color of the year. Things are looking “bright” and it’s time to bring some new life into the place where you lay your head each night. 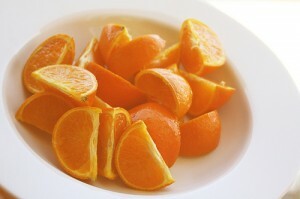 The Pantone Color of 2012 is Tangerine Tango. The color is a mixture of red and orange. The orange tones have a subtle pink tone as well. The color is soft yet bright enough to bring some life to common every day textiles. The new Pantone color is a reminder that it’s Ok to add color to your life. And that includes in the bedroom, the place where you spend much of your life. Common colors for bedspreads include your whites, off whites and light colors in blues, greens and soft reds. These options offer neutrality in the bedroom where it can be a daunting task to design a room that is beautiful and bold. The Pantone color shows that it is all right to add some non-traditional colors to your bedroom. Imagine walking into your bedroom after a long day at work and seeing a beautiful bedroom setting complete with tones of orange in the sheets, comforter and pillows. Bed sheets are one option for adding some color to your bedspread. You can also consider adding color with a comforter or pillows. There are also options for adding color to window treatments or perhaps even a new cloth headboard. If you’re looking to add color in an even more bold way there are also options available in satin sheets. This would really add flavor to your bed and add some energy. The colors don’t necessarily have to be tangerine either. The Pantone colors are a nice guide. They represent a certain personality, but there are other options. This is simply a reminder that it’s Ok to add some boldness to your bedroom. There are bold reds, deep blues and luscious greens as options as well. The bedroom doesn’t have to be stuck in neutral. There are options available to add a splash of color. Bold colors bring energy and excitement to the bedroom. The sun is shining on 2012. The color of the year is Tangerine Orange. If you’ve ever woken up in the morning and noticed how the sun shines orange across the bedroom then perhaps it’s time to bring more of that color into your bedroom. Add some Tangerine Tango to your bedroom for a delicious splash of bedroom color. April 16, 2012 | Posted by Lee C.
You have probably seen the organic labels on food in the grocery store. You know that eating organic food will prevent you from ingesting any residual pesticides or herbicides and can be better for your health. But perhaps you’ve noticed the organic label on clothing or other non-edible products and wondered why you should buy an organic version of something you won’t eat. There are a number of reasons why it is a good idea to invest in organic products, including the ones you don’t eat. According to Stanford University cotton is the “largest revenue-generating non-food crop” in the world. It also consumes some of the greatest amount of resources. Stanford states that conventional cotton production accounts for 10 percent of all water used for agriculture and 25 percent of all pesticides. Pest and weed management for conventional cotton is very intensive. It requires a large amount of chemicals in order to grown on such vast tracks of land. These chemicals are often applied by crop dusting or aerial drop. The chemicals directly and indirectly (run-off in water) effect the health of people and wildlife. Organic cotton is the alternative to conventionally raised cotton. Organic cotton meets very strict regulations that don’t allow the use of any insecticides or herbicides. These restrictions also prohibit the use of Genetically Modified Organism or GMO seeds. 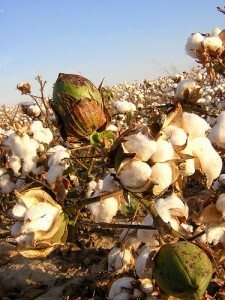 According to AboutOrganicCotton.org, practices for raising organic cotton are very different than conventional cotton. Weeds are removed by hand, instead of with chemicals. Harmful pests are kept in check with healthy soils and biological controls. Biological controls include introducing insects that are natural predators to the pest insects. And, defoliation, a necessary process for harvest, is prompted through natural changes in temperature or water management, rather than chemically induced. These practices conserve resources and reduce the environmental footprint of cotton. Reducing the amount of energy and water used to grow cotton is healthier for the planet. Reducing the amount of chemicals used to grow cotton is healthier for people as well. Fewer chemicals circulating in the air, ground, and water means less people suffering from the ill effects of pesticides and herbicides. While you don’t eat T-shirts and bed linens, you can still protect your health and the health of others by choosing organic cotton. April 12, 2012 | Posted by Lee C.
Herbal tea that naturally lacks caffeine can be an excellent bedtime tradition. Warm drinks can help calm and relax your body and prepare you for sleep. Some teas have benefits that go beyond just relaxation. Peppermint tea is one tea with a number of benefits that make it a great pre-sleep ritual. One great sleep enhancing advantage of peppermint tea is that it assists with indigestion. According to the University of Maryland Medical Center, “Peppermint calms the muscles of the stomach and improves the flow of bile, which the body uses to digest fats. As a result, food passes through the stomach more quickly.” However, if you have gastroesophageal reflux disease, you should avoid peppermint at night because it relaxes muscles in the stomach and esophagus and can induce reflux. There is also some research that shows peppermint may relieve symptoms of irritable bowl syndrome (IBS). The same muscle relaxing tendencies mentioned above can also bring relief to minor tension headaches. The article mentioned above also suggests peppermint as a cold remedy. Peppermint contains menthol, which is an effective expectorant. 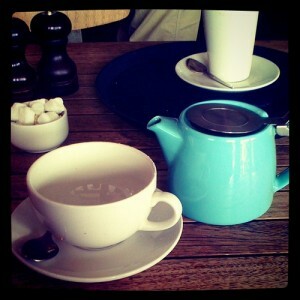 Holding your head over a steamy cup of peppermint tea can relieve stuffy noses and congested chests. Doing this before going to bed can improve your sleep when you need it most. All of these benefits can be experienced from just a few peppermint leaves steeped in hot water. You can pour hot water over fresh leaves and let it steep for awhile, or you can place dried leaves in tea ball and allow it to set in hot water. If you want your own peppermint plant, it is an herb that is very easy to grow. Transplants are commonly found at nurseries. The plants typically run rampant once planted in a garden or landscape and will quickly take over. So, if you are starting from scratch you may want to plant your peppermint in a container to prevent its spread. If raising your own plant doesn’t excite you, peppermint tea is easily found commercially in tea bags. Be sure to check the ingredients to ensure there is nothing caffeinated or even decaffeinated black or green teas listed as well. The best peppermint teas will have only one ingredient, peppermint. What are your favorite bedtime teas or drinks? Have you experienced the benefits of peppermint? April 9, 2012 | Posted by Lee C.
Carpet is typically the go-to material for floors in bedrooms, while hardwood is often reserved for kitchens and sometimes living rooms or dens. Carpet is warm and soft, but there are some distinct advantages to using hardwood in bedrooms. The most obvious and probably the best reason for hardwood in bedrooms is the reduction of allergens. Dust mites and other allergens thrive in carpeting. 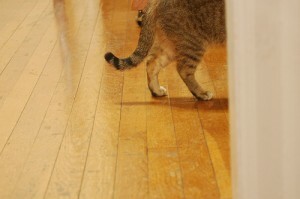 Hardwood floors don’t have the fibers that can hide all of the things that make eyes itch and noses run. According to the Asthma and Allergy Foundation of America, “Bare floors with small, washable area rugs are much easier to keep free of dust mites than carpeting.” If a stuffy nose has hindered your sleep, you may want to consider replacing your carpet with a smooth surface, such as hardwood floors. It is much easier to clean hardwood floors. Simply sweep or mop and you are done. How is it different than running the vacuum? The vacuum only does part of the job for carpets. Areas of high traffic will absorb dirt, pet hair is hard to lift and stains from spilled items will linger. All of this will require shampooing and spot cleaning with chemicals to keep your carpets looking fresh. Carpets also maintain smells, especially pet smells. Spills and accidents can be easily wiped from a hardwood floor with a damp cloth. Hardwood floors are classic and timeless. They match anything, and anytime you want to redecorate your room, you won’t have to start with replacing the flooring. Rugs can be easily swapped to match the latest style. And, unless it has an incredible amount of wear, you won’t have to replace your hardwood floors in order to sell your home. All that said, there are advantages to carpet. If you live in a cold climate, it is nice to wake up and put your bare feet on a warm, soft carpet. Carpet is also a great, soft play surface for small children. In addition, carpet reduces noise in a room by muffling footsteps and absorbing sound waves. Knowing the advantages and disadvantages of both carpet and hardwood floors can help you determine the right style for your bedroom. What is your favorite flooring choice? April 2, 2012 | Posted by Lee C.
The bedskirt is something often forgotten. When picking out new bed linens we consider the comforter, the sheets and pillows. The bedskirt can be overlooked, but it really is one of the details that can tie a bedroom together. You don’t want to have a beautiful bedroom designed and furnished only to have the unsightly image of that brown metal bed frame visible. That’s where the bedskirt comes in. There are a few important things to know about the different kinds of bedskirt options. Here is a rundown on everything you need to know about bedskirts. The traditional option is the ruffled bedskirt. These are common on most bedskirts and have been for years. Even today, the ruffled look is something that can be appealing for traditional bedroom designs. For a look that is classic and dressy, a dark colored ruffled bedskirt is a good option. There are ways to make the ruffled bedskirt casual as well. Plaid patterns are one option. This can bring in a few color variations and can make a casual bedroom feel welcoming and calming. Those are two important qualities in a good bedroom. A second common choice is the tailored bedskirt. This has a more modern, sleek look. If the overall look and feel of the room is to have dark or light colors with focus on items like the comforter or curtains, a solid color tailored bedskirt will work well. The tailored look is becoming a popular choice today. The straight lines of this bedskirt gives people the chance to cover up the bed frame while not brining too much attention to the floor. The bedskirt typically isn’t the focal point of the bedroom so something that seems “in its place” will allow people to glance over and look at the main features like a comforter or headboard. 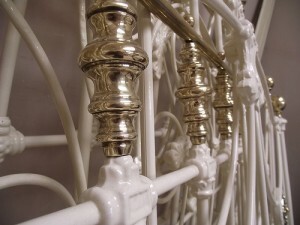 A few other options for bedskirts include eyelet bedskirts. There have even been more innovations like the upholstered box spring. That’s a pretty neat idea. It looks great and you can save some cash. The fabric material for your bedskirt should match the linens or at least be similar. You want the colors to match as best as possible. Having the bedskirt fabric match the rest of the bed will help make the appearance as “together” as possible. Bedskirts don’t have to be overlooked. When you’re ordering custom sheets and other elements of a custom bedroom you will want to make sure to pay attention to all the details. Understand the few different types of bedskirts and you should be ready to complete your bed set.